Do you have a sprawling outdoor in front of your house? Then, you should make good use of it. There are so many ways in which you can use your home outdoor. Simply use for hobbies like gardening or use it for entertainment. You can also make it more functional with an outdoor kitchen or adding extra seating area in the patio. But before moving ahead, you should plan your landscape design. We, at Anderson Landscaping, can be the right choice for you. We will discuss and review your personal taste and preferences to come up with a brilliant plan which will make the most of your exterior space and also enhance its beauty in continuity with the existing architecture and interiors of your home. We are known for our client-oriented work, on-time completion of projects, and affordable rates. So, if you belong to areas like Coconut Grove, Coral Gables, Key Biscayne, Miami, Miami Beach, or Palmetto Bay, you can resort to us without any hesitation. Here, we have put together a few reasons why a landscape design is essential when you are planning your outdoor. Take a look. First of all, without a plan, everything will be messy and lack clarity. You cannot randomly mix up your lawn with the walkway or the patio with your outdoor kitchen. Every part should be measured and segregated. Only then, the whole picture will come together, giving it the beautiful sight it deserves. So, plan things ahead according to a vision in mind. If you don’t design the landscape you have, it is not only a waste of the huge space you are blessed with but it will have a deep impact on the whole value of the house. If your home outdoor looks messy, the first impression can get ruined and people might not want to take a look inside if you want to sell the house in the future or put it on rent. 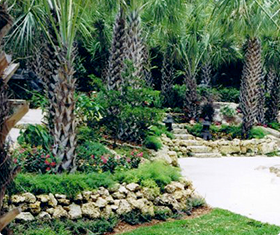 So, if you want to hire us for your landscape designing, call us at 305-978-2050 now.